Recently we posted a guide how to install the Android M on Nexus 5, 6 And Nexus 9. So many of our readers already updated their Nexus with this new OS, but most of them want to go back from Android M to Android 5.1.1 or we can say downgrade Android M to Android 5.1.1 Lollipop. 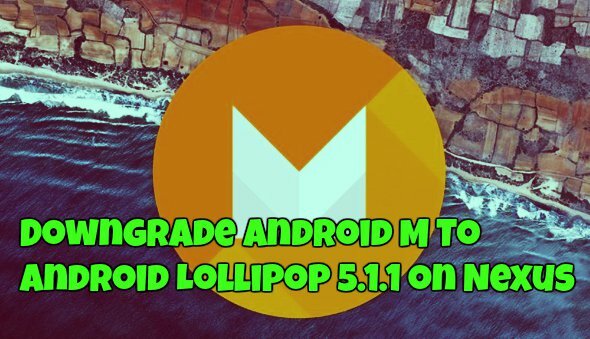 As we know that Android M is still in Beta stage and has lots of bugs and errors and most of the user who are on the new OS want to go back on Lollipop or Kitkat. The tutorial below gives you the step by step instructions on how to flash Android Lollipop on Android M running Nexus devices. This guide is only for the Nexus users, don’t follow this guide on non-nexus devices as it may inadvertently brick or damage your device. Verify the device’s model number by going to Settings > About Phone or About Tablet. Backup all your data and files before you proceed, as the downgrade procedure will wipe the device completely. Step 1. Download the appropriate Android Lollipop factory image for nexus device from here. And extract the folder on your desktop. Step 2. Now install the ADB drivers on your desktop. To do this run this app on your PC and this will automatically install the proper ADB drivers on your machine. Step 3. Enable USB debugging mode on your Nexus device, go to Settings > About phone > Developer Settings > USB debugging. Note: Tap the build number at the bottom of screen seven times to unlock the developer settings option. Step 4. 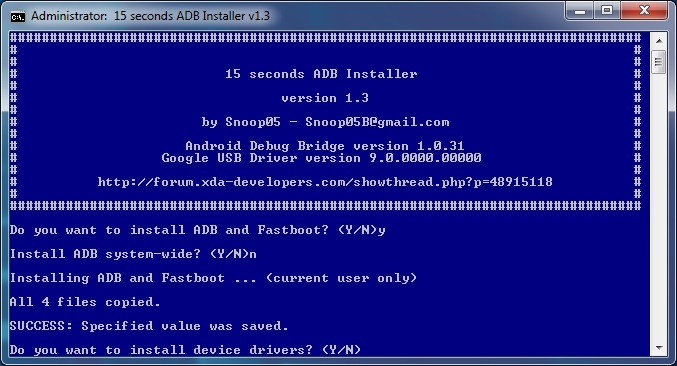 Now download the ADB and Fastboot file here to run the commands on your PC. Extract the folder on your desktop. Step 5. Move all the Android Images file that you extracted in step 1 to the ADB folder that you downloaded on Step 4. Step 6. Now boot your Nexus in bootloader mode. To do this Hold Volume Up Key + Volume Down Key and then press the Power button. Step 7. Once you are on bootloader or fastboot mode, connect your phone to the PC with USB cable. Step 8. Open the ADB folder where all you files saved. From here run the flash-all.bat to start the flashing process on your nexus. Step 9. The flashing process will takes some time but after a while your device will reboot and boot into Android Lollipop. Actually after upgrading to android M, When i checked my root status via root checker app, Its says “Sorry root access is not properly installed on this device.” & on checking at fastboot mode it shows unlocked status. Should i downgrade or not in this condition or will i able to downgrade. You can downgrade it any time. I tried Downgrading, it failed. In CMD Recovery.sig not available msg appears.